Introducing, the charming Embroidered Chiffon Bridal Dress Unstitched in with high quality embroidery in various color combinations. 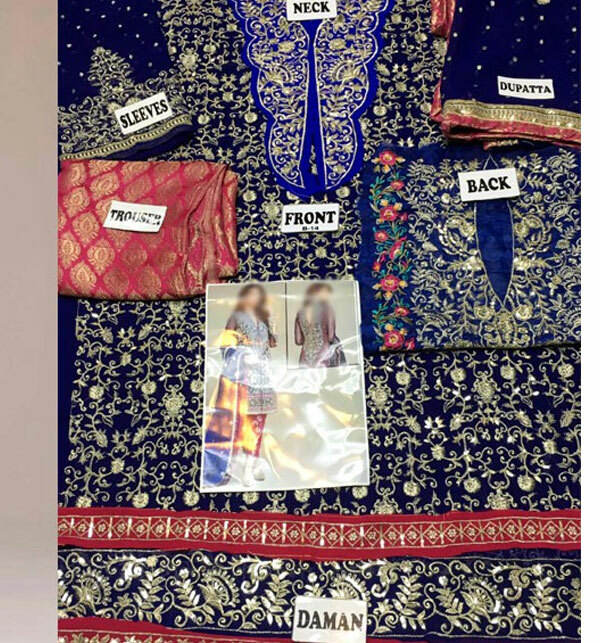 It is a Bridal chiffon suite, included shirt, dupatta and trouser, Sleeves, neck & daman patches are also included in this dresses. The entire embroidery is done on quality chiffon fabric. Order it at Shoprex.com and avail free delivery all over Pakistan. Enjoy Free Home Delivery Nationwide! v.nice collection ur chiffon dresses. please confrim my order. Blue Chiffon Suit was great until they started the mixed chiffon. I think that chiffon needs to be pure in order to be considered a party wear. I was truly sad to see when the people suffering from purchases from the market when I purchased from shoprex and got pure chiffon in a bargain price. amazing dress, it looks that it is designed for bridal, looking so elegant. You are looking now latest Embroidered Chiffon Bridal Dress Unstitched (CHI-28) price in pakistan market 2017 including in all major cities, Embroidered Chiffon Bridal Dress Unstitched (CHI-28) Price in Karachi, Embroidered Chiffon Bridal Dress Unstitched (CHI-28) price in Lahore, Islamabad, Faislabad, Pesahwer, Quetta, Multan, Rawalpindi and many more cities. Please Note: The color shade or photo of the Product may vary slightly from the actual items due to various types of lightings and flash used while photo shoot.